If your mom doesn’t know how to text yet, tell her that even Punxsutawney Phil knows how!!!!! Yep!!! America’s most famous groundhog, is entering the digital age!!!! Punxsutawney Phil’s Groundhog Day weather prediction will be texted this year for the first time! How crazy is that!? People who want to know Phil’s prognostication but can’t get to Puxsutawney, Pennsylvania, (or can’t check online, or listen to the news!!!) can text “Groundhog” to 247365. 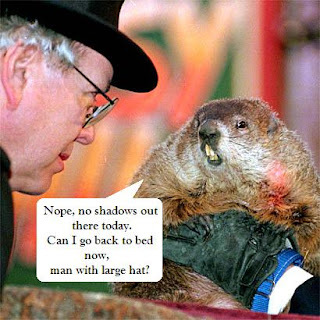 You’ll get a text message on Groundhog Day, February 2nd, telling you whether Phil has predicted an early spring or six more weeks of winter.